This article has been archived, but retained online for reference purposes. Content may not reflect the current situation. VIVA continues as a reduced hours service on Freeview and has moved to channel 74. The Viacom owned channel, which from today operates a new music-based schedule will be available from 9am to 11am. It is no longer available 24 hours a day because of changes Viacom / Channel 5 have made to their Freeview services in order to make way for new channel Spike. VIVA was originally due to disappear from Freeview altogether; its slot on channel 21 is being taken by 5USA. The changes also affect viewers accessing Freeview channels via YouView or EE TV boxes. Meanwhile, on cable and satellite, VIVA is due to continue as a full-time service. Changes are being made to comply with Freeview's channel numbering system, which is administered by Digital UK. Broadcasters may swap their channels around once a year, but there are restrictions on where new channels can join on the channel list in order to meet fair, reasonable and non discriminatory (FRND) rules. The swap rule can't be used to launch a completely new channel in place of an old one. Viewers may need to retune in order for the channels to appear in the right place. A full overview of the changes on Freeview is available on this page. Do you know for sure that it will now be music-based? Those hours (9am - 11am) look to me like they might be suited to a childrens service, perhaps for pre-schoolers? They did, once upon a time, broadcast Noggin in roughly that slot. Hello. Interesting comment. However, a channel wholly containing children's programmes would be allocated a Freeview channel number in the 120-129 range, according to the Freeview channel allocation rules. VIVA's satellite and cable listings guide confirms music content. Wish Freeview would put a stop to these one or two hour holding channels. I don't think it's unreasonable to set a threshold of say 4 hours per day to get an EPG slot in the general section, otherwise you should be placed elsewhere in the EPG. What hours does C5+24 broadcast on Freeview as Viva through to 7pm would make better use of that space I'd have thought. I understand that VIVA needed to stay on Freeview, if only for a couple of hours for the channel swap rule to be applied. Viva is now an all music channel. Some programmes will move to other Viacom channels. 'Teen Mom', a former staple of Viva's schedule has now got a slot on 5*. Keep an eye on the schedules for new slots for other programmes previously shown on Viva. So what will happen to spongebob? SpongeBob is currently showing on Nickelodeon and NickToons. Unfortunately there's no regular free-to-air slot at the moment. SpongeBob's likely to resurface on Channel 5 at some point - keep an eye on C5's schedule. 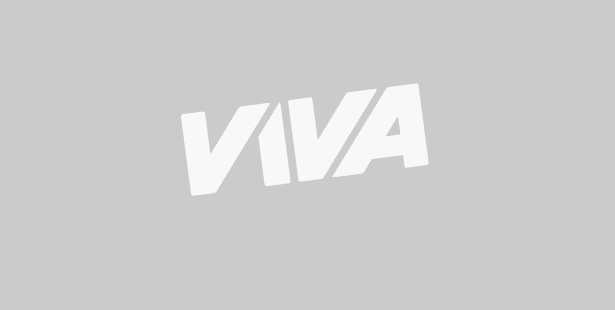 VIVA is broadcasting 07:00-03:00 in Manchester (CH57). It's been full time for at least a week now.